So you’ve graduated from nursing school and you’re about to take the NCLEX to get your official nursing license. That being said, if you already have paid for a test prep program like Saunders, Kaplan, HESI, or others, then utilize the resources you’ve already paid for because any practice is good to get your mind in the right spot. Since you graduated, you already must have a working knowledge of most nursing information. At this point, trying to re-read a million textbooks will only bog you down and make you feel like you don’t know anything. You need to maintain confidence for the NCLEX and we would only recommend brushing up on a select few topics that you really don’t feel like you know anything about. To find out which topics to focus on, we suggest you do practice questions and see where you are consistently performing badly and maybe give those areas a little TLC. Want to pass your NCLEX in 75 questions? 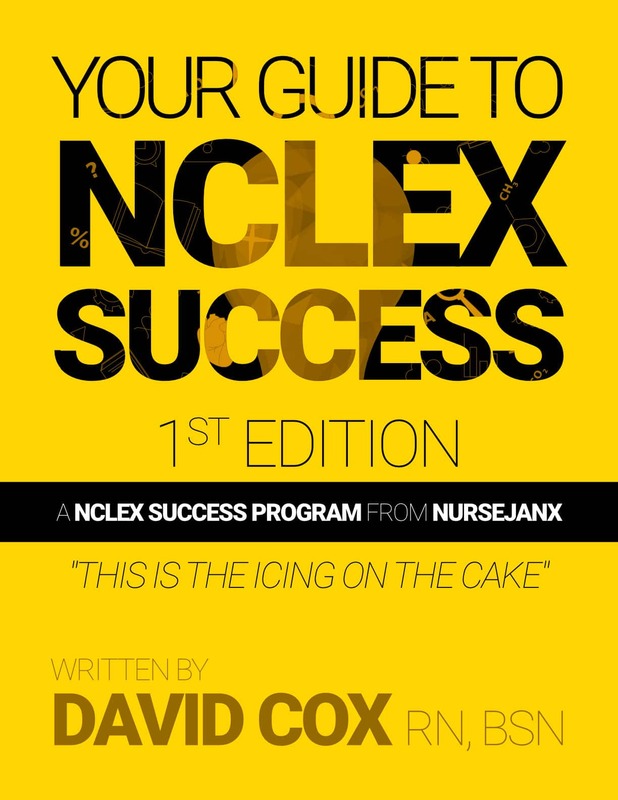 This NCLEX Study Guide from the creators of Nursejanx is packed with strategy, practice questions, tips, & tricks. Don’t wait too long to take the NCLEX because you want to keep that information fresh in your brain. Most people should probably try to take their NCLEX within a month after graduating. This will give you enough time to decompress a little from school, take some practice tests and do some NCLEX prep if you want, and still not be long enough to forget everything you learned in school. Share your NCLEX study tips with us! Solid advice. Lots of test questions and LOTS of rationales. Good luck! If you’re strong in content, purchase a test prep such as uworld and do the entire test bank. I felt confident with content and focused on test taking strategies which I learned from Kaplan. Kaplan is very helpful at breaking down the nclex and strategies that are most helpful. Also, they have 3 exams that mimic the nclex computer adaptive format, as well as a large question bank and exams that I found to be very challenging in comparison to the NCLEX. However, uworld gives you the most bang for you buck while getting the job done. Fortunately I used them both, looking back I would only purchase uworld.